The agent billing report gives you an overview of all of your agent billings. You can filter the report for a specific date range. 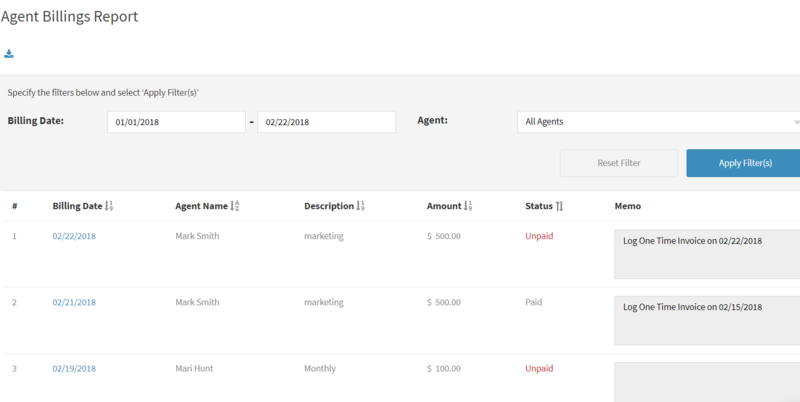 You can also see all agents or filter by a specific agent. You can see the billing date, the agent who was billed, a description of what the agent was billed for, the amount, if it has been paid or unpaid and notes regarding the billing item.